Professor Baldwin has published his research in leading academic and professional outlets. 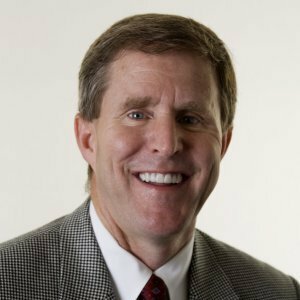 Timothy T. Baldwin is Chair of the Department of Management & Entrepreneurship and the Randall L. Tobias Chair in Leadership at the Indiana University Kelley School of Business. Professor Baldwin has published his research work in leading academic and professional outlets such as: Academy of Management Journal, Journal of Management, Journal of Applied Psychology, Personnel Psychology and Academy of Management Learning & Education and he has won several national research awards – including eight best-paper awards from the Academy of Management. He has twice been the recipient of the Richard A. Swanson Excellence in Research Award presented by the American Society for Training & Development (ASTD). He is the co-author of Improving Transfer Systems In Organizations and his most current book is Developing Management Skills: What Great Managers Know and Do. Now in his 27th year at Indiana University, Professor Baldwin has frequently been recognized for teaching excellence including multiple MBA & Undergraduate Teaching Awards, the Eli Lilly Alumni Teaching Award, the FACET All-University Teaching Award, and the Dow Innovation in Teaching Fellowship. His background also includes consultation with Cummins Engine, Eli Lilly, FedEx, Whirlpool and a variety of other organizations in both the public and private sector. He has designed and delivered numerous executive education seminars in the US and abroad. For the past eight years he has served on the Board of Directors of Cripe Architects & Engineers, a professional services firm based in Indianapolis and he also has served on the national advisory boards for organizations including the Graduate Management Admission Council (GMAC) and Educational Testing Services (ETS). Research on transfer of training has been characterized by a lack of precision in distinguishing between the ability to transfer (i.e., “can do”), and the motivation to transfer (i.e., “will do”). Drawing from job performance research that has made this distinction, we argue that transfer of training can fall along a maximum/typical continuum, with one end reflecting how much trainees could potentially transfer (maximum) and the other capturing how much trainees will transfer (typical). In this essay, we explore why there has traditionally been so little emphasis on teaching preparation in business doctoral programs. Program administrators and faculty typically espouse support for teaching development; yet the existing reward systems are powerfully aligned in favor of a focus on research competency. Although pressures for more efficient and effective government are intense and prescriptions for transformation abound, critical accounts of successful government change initiatives are relatively limited. In this article, we chronicle a transformation of the Indiana Bureau of Motor Vehicles whereby the agency dramatically improved the quality of services while significantly reducing its cost structure—literally moving from worst to first in national rankings of such agencies. Arguments related to forced distribution systems (FDS) are often dogmatic, but typically do not consider for whom such systems might be most and least appealing. We examine the relationships between participants' individual differences (cognitive ability, collectivism and core self-evaluations) and their attraction to an organisation utilising an FDS. Biomedical research enterprises require a large number of core facilities and resources to supply the infrastructure necessary for translational research. Maintaining the financial viability and promoting efficiency in an academic environment can be particularly challenging for medical schools and universities. Check out this expert on Expertfile.